Frozen about climate change proposed by Robert Papp, State Department envoy for the Arctic. A more accurate version of Frozen could be really depressing. The apocalypse is closer than ever and people are taking private jets to climate change talks. This is not good. We need a new idea. Something to cut through the partisan rhetoric about global warming and give people the facts. Something that harnasses the power of imagination and Idina Menzel’s voice. We need a Frozen sequel about climate change. 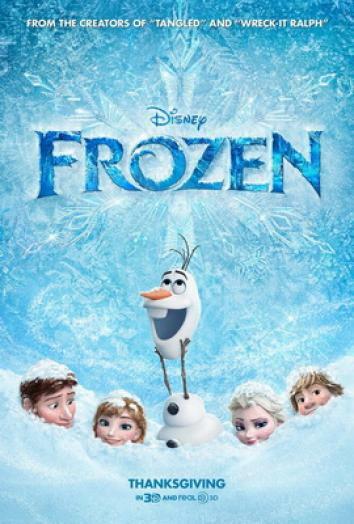 You can see how a Frozen sequel called Thawed might not do so well at the box office.